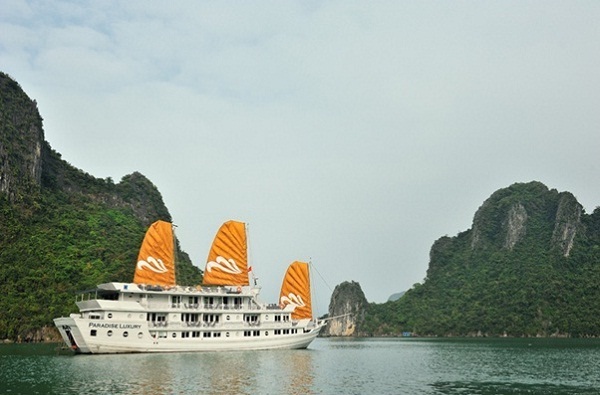 The Paradise Luxury cruise is really an unforgettable experience for anyone who visited the Halong Bay. 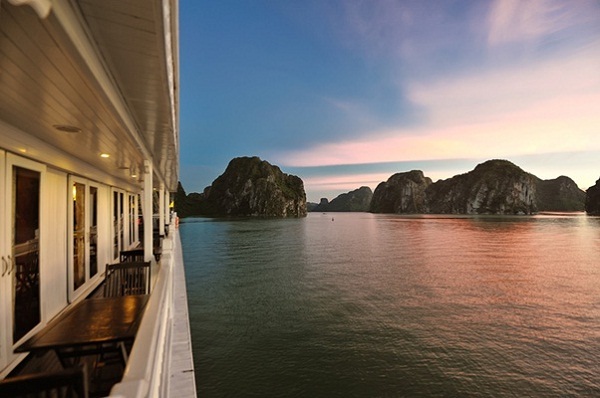 On the five-star luxurious vessel, you will be enjoyed a charming beautiful Halong Bay by an extraordinary way. 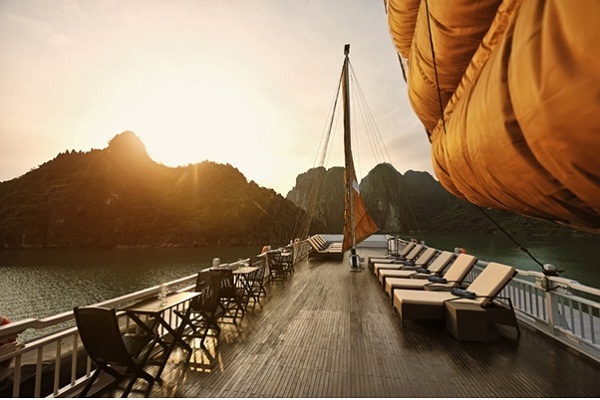 The boat softly surf and you will see the stunning scenery of mountain and waves. 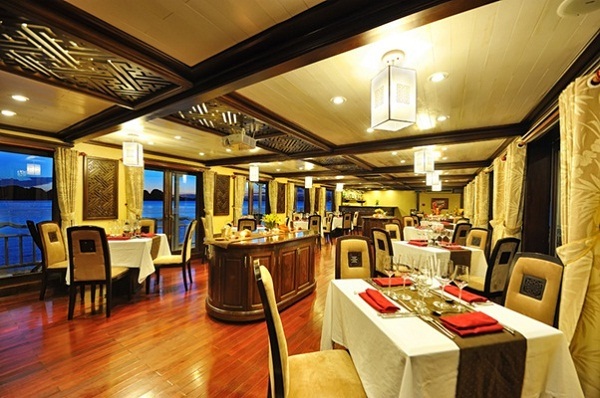 By joining this wonderful journey, the tourists will experience and enjoy all the high-class services of the five-star luxurious yacht. 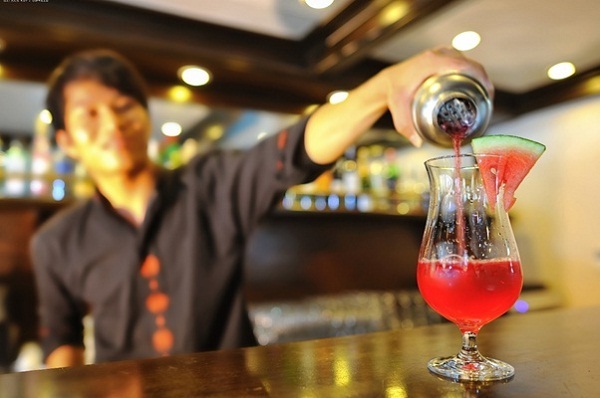 Paradise Luxury is one in four of the famous brands of the Paradise Cruises company (Luxury, Privilege, Explorer and Peak). 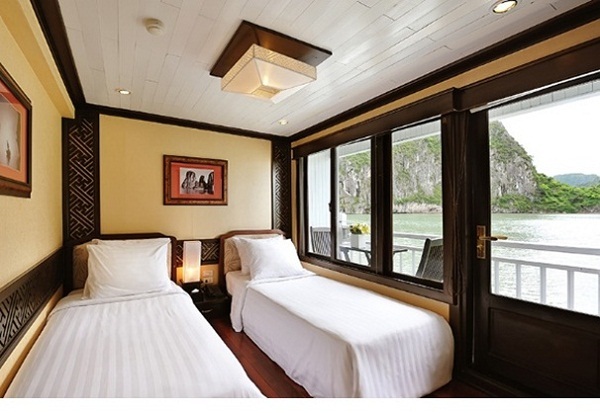 The four Paradise Luxury offer 68 luxurious cabins in which each cabin corresponds to range from 16.2 m2 to 24m2 room. 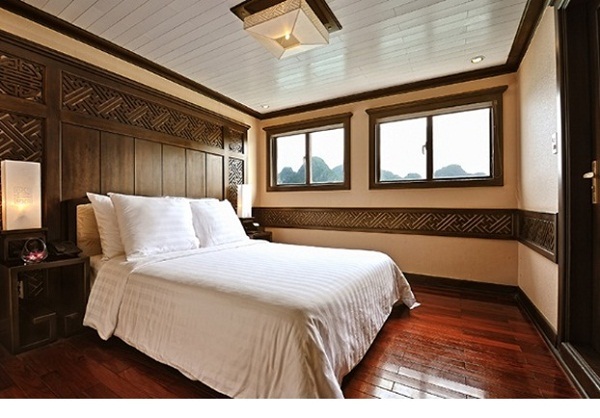 It is uniquely designed and decorated with the best natural material such as precious timber, silk, taffeta, marble, porcelain, crystal. 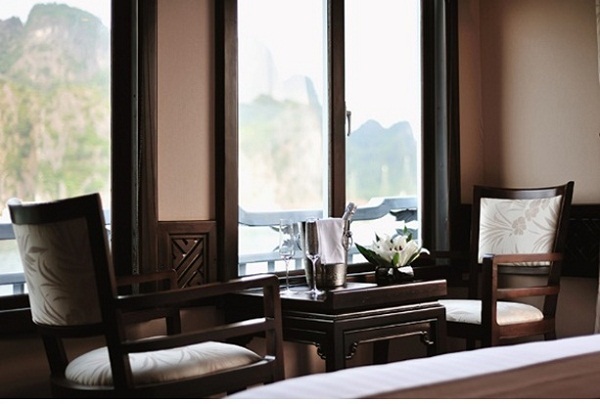 The cabins are divided into 3 types: Superior, Deluxe and Suites that have windows and large balconies overlooking the sea. 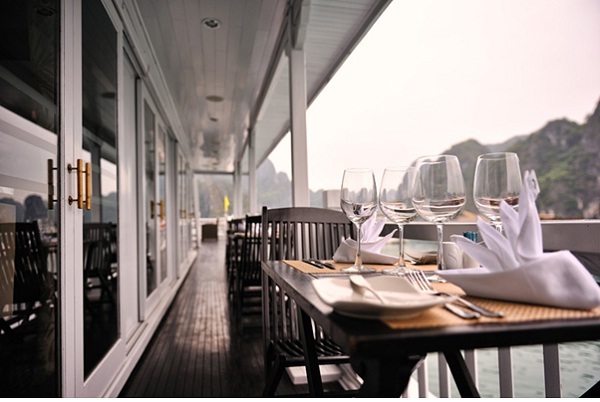 The top floor of the vessel is open bar where the travelers can enjoy hundreds of wines, and be free to sunbathe, read books and listen to music among the Halong Bay paradise. 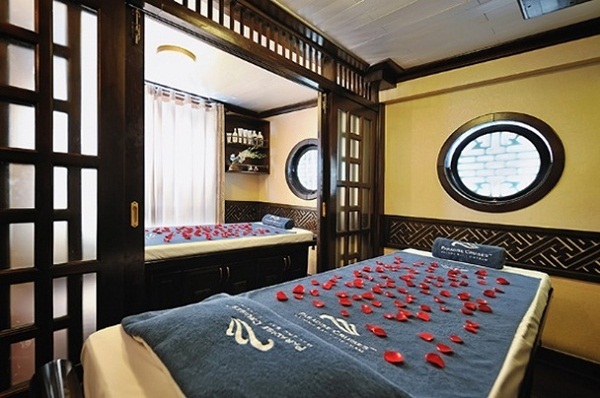 On the cruise, tourists can not only feel the magnificent nature of Ha Long Bay but also have the right to select the perfect relaxation therapy such as: softly spa with hot stone or bath in a tub (Jacuzzi) with the fragrance of roses or lavender, etc. 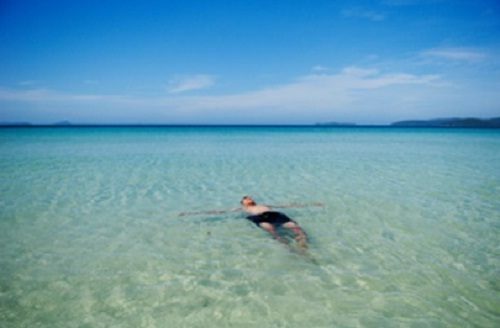 In the morning, visitors can watching the sunrise on the beach by tai chi exercises under the guidance of experts. 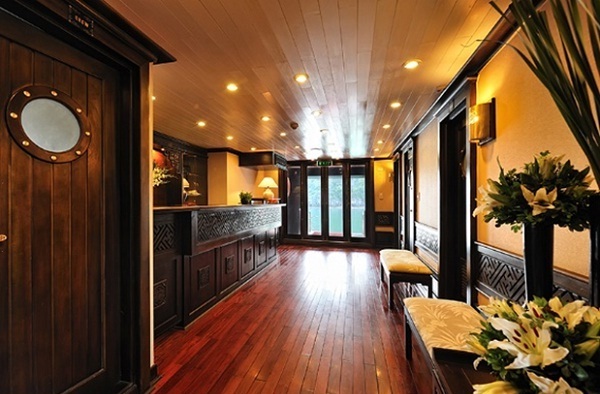 Paradise Luxury is honored to receive many reputable award such as: Viet Nam Gold Star Award in 2013, the perfect services award voted by tourist community around the world on Trip Advisor forum, an annual award of Agoda for the best services in Asia Pacific 2012, the most luxurious yacht with perfect service 2012 – 2013. 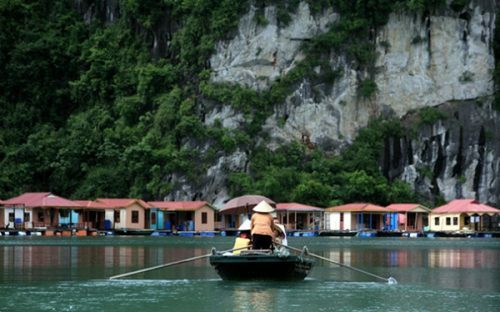 Therefore, Paradise Luxury always promise to bring visitor the amazing experiences.